Originally published under the title "German Human Rights Chief: Turkey Does NOT Belong In The European Union." Germany's Human Rights Commissioner Christoph Strässer: "There can be no human rights policy discount for Turkey." Germany's Human Rights Commissioner has asserted that Turkey does not belong in the European Union until its human rights record improves – a standpoint that puts him at odds with EU leaders and his country's leader Angela Merkel. In an interview with N24, Christoph Strässer admitted that while Germany and other the European Union member states should deal with Russia and Turkey, the latter is nowhere near close to being eligible for EU membership due to the country's poor human rights record. EU leaders recently announced a €3bn package for Turkey, predicated on the country's assistance in the EU migrant crisis. But Turkey's leaders have already implied that they want more money, and EU agency sources have told Breitbart London that the country's President, Recep Tayyip Erdogan, might use this money to target the Kurdish population in his country. Asked if the EU is set to make concessions for Turkish EU membership, which is now said to be in the "fast track" stages, Mr. Strässer replied: "This concern drives me. There can be no human rights policy discount for Turkey. We must not be generous towards Turkey, just because we now co-operate more with her. The EU must stick to its crystal-clear, strict rules with respect to human rights and press freedom." 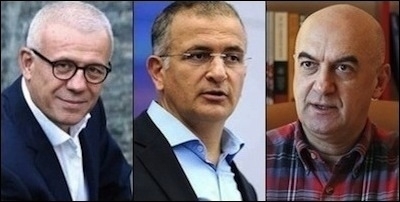 Turkish journalists under investigation for insulting Erdogan include Hurriyet columnist Ertugrul Ozkok (left), Zaman editor-in-chief Ekrem Dumanli (center), and Today's Zaman columnist Yavuz Baydar (right). The country has come under fire recently for Mr. Erdogan's heavy handed treatment of journalists, including branding one a "terrorist" for questioning his style of rule, and for recently arresting three Western journalists. 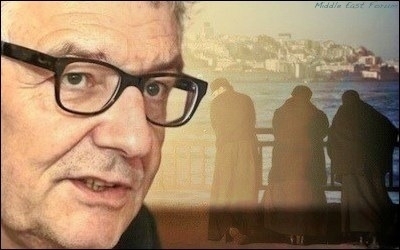 Mr. Strässer added: "We need to send a reminder compliance against Ankara repeatedly. In Turkey, dissenters are punished, and there are attacks against the opposition. As long as there is such a thing, the country does not belong in the EU. If we ignore it, it would be a fatal signal." Turkey's minister of European Union affairs, Volkan Bozkir, revealed in November that Brussels agreed to open a new chapter in stalled membership talks with his country by mid-December. "The decision to open the Chapter 17 by mid-December has been taken," he said, adding: "Inshallah (Allah willing), we will open Chapter 17 on December 14 or 15 in Brussels." Critics, such as eurosceptic leader Nigel Farage, have called the EU's fast tracking of Turkey's membership "verging on insanity," while the European Commission postponed the release of a critical report into the country's human rights situation, ostensibly to assist Mr. Erdogan's re-election efforts. Mr.Strässer concluded: "Unfortunately, under Mr. Erdogan, the situation in the country has deteriorated extremely." Raheem Kassam is a Shillman-Ginsburg fellow at the Middle East Forum and editor-in-chief of Breitbart London.